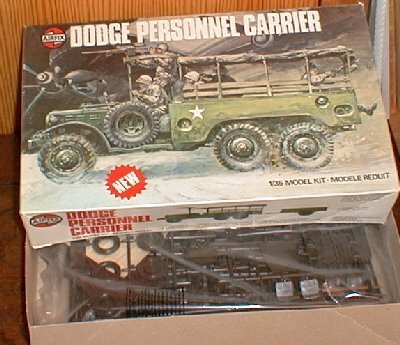 This versatile six-wheel Dodge was widely used by Allied Forces in the Second World War. The kit comprises 136 parts with such features as a ring-mounted M60 machine gun, a simulated canvas top and crew figures. In addition a cargo trailer is provided. Optional versions of this 1 1/2-ton truck can be built, one with a winch and one without, together with the appropriate markings.